Education is a standalone industry in itself. From physical educational institutions to online learning platforms, everyone is contributing to this billion dollar industry in its own way. Everyone knows about regular schools, colleges, universities, and vocational training establishments. However, there is very little awareness about the online learning platforms in most of the countries on the globe. Nonetheless, it doesn’t mean e-learning is not growing. There are areas where online teaching platforms have gained even greater fame than regular establishments. Brandon-Hall conducted a study and found that teaching done through online modes takes 40% – 60% lesser time than the classroom counterparts of the same. Moreover, students were found to retain 25% — 60% of the lessons, which was huge considering the same recorded only 8% — 10% in the physical classrooms. 40% of the corporations across the globe admit online modes for corporate training have helped them boost employee engagement by over 18%. Let’s admit the truth here. Online teaching has evolved to become a niche of high paying jobs these days. With this article, I aim to explain various ways you can adapt to teach online and get paid with handsome amounts. We will look into different ways to tutor a diversity of students from a diversity of segments. What’s the scope as an online tutor? According to Statista, the market for e-learning solutions will cross the $243 billion mark by 2022. It is clear that e-learning is a multi-billion dollar industry. More and more students are finding their ways to the online version of the regular courses with a hope to get more accessibility and flexibility when compared to the physical classrooms for the same. The big question is- “Is there a scope for online tutors in it?” Let’s find out with some data-driven analysis. Across the countries of the globe, learners are looking out for online higher education courses because of their higher degree of convenience as compared to the physical alternatives. The US itself accounts for over 6 million student registrations in the online higher education courses. Providing a blended learning experience in the regular classroom sessions as well. This is not the whole population of online learners. There are even the students who enroll in physical programs, but also join online courses for blended learning and academic help. It doesn’t matter if it’s a dedicated course, certification program, MOOC, or online tuition, you will always find students looking out for online courses for one or more reasons. It also means that the demand for online tutors is increasing day by day. People with skills, knowledge, or experience are getting suitable prospects to earn money by teaching online and from their online teaching experience. Best thing is -you can teach the students globally from the comfort of your home. It doesn’t matter what’s your skill or expertise. If you think you can teach something that people want to learn, you can become an online tutor and start earning from your skill. Did you know that over a billion students have joined online English language courses across the globe? In fact, this number is expected to touch the 2 billion mark by 2020. Well, if a quarter of the globe is willing to pay for learning a skill that the majority of humans on the earth possess, it is indeed very special. English is a common language but still, it has got a great scope, just think about the number of students you might get for teaching a rare skill. What else can you do as an online tutor? When teaching goes to the online platforms, it opens the doors to an array of new possibilities to reach the unknown and generate more opportunities. E-learning is not just a way of teaching, but also a lot more than that. It is a way to march beyond the limited walls of physical establishments, a way to devise a business opportunity, and a way to offer fresh ideas to students and earning mechanism for the tutors. Online teaching websites pay a tutor to put up online courses on their platforms. You can explore your expertise and start creating online tutorials for the same. Many nations across the planet have a shortage of professionals who can teach in the physical classes. They are either allowing global online tutors to take virtual classes or offering their students sponsored access to popular e-learning platforms to compensate for the shortage. There are people with excellent teaching skills but are limited by their hectic schedules or traveling hassles. As a result, they lose ample opportunities to earn money by teaching. These people can take online classes from their current locations and save a great deal of time, money, and hassle of traveling. E-learning is a huge market. It offers enough prospects to venture business in the segment. In addition to putting your courses on third-party sites like Udemy and Coursera, you can build your own websites, apps, and platforms to become an Ed-tech entrepreneur. You now have a good comprehension of your scopes to become an online tutor and jump into a big pool of opportunities to teach online and earn some gorgeous money. So, what now? Now, let me tell you how to capitalize on this situation by becoming an online tutor. How to become an online teacher? With every online course students enroll in, they look out for convenient ways to study or acquire a new skill. Be it a third-party platform, or your own e-learning website, you need to offer the basic USP, everyone expects with the online alternatives of the classroom courses. Students want to learn in a flexible environment at flexible time and location. Anyone who can teach them online is a good tutor. There is no fixed age of online students, nor there a definite genre of the online courses. You just have to know your skills, where to teach, how to teach, and how to boost your chances of being picked by the potential patrons. So let’s learn it one-by-one. Is Online Teacher Certification Mandatory? No, a teaching degree or online teaching certification is not essential to become an online tutor. However, you can certainly have an upper hand if you can have one. Many sites ask for enough of the teaching experience and relevant educational qualifications only, but we have seen the tutors with teaching certifications in their portfolios get greater visibility among the audience. So, it’s not a necessity but a way to improve your credibility as a skilled tutor. These courses are designed to tutor a particular skill. The design of the courses may go all the way from recorded video tutorials, live video conferencing, textual lessons, and animations to on-demand physical classroom sessions. For example, you can become a trainer for skills like language, painting, singing, guitar, dancing, piano, cake baking, and origami, etc. Tutors design standalone courses to teach on an independent vertical. Instead of covering up the whole big module, the course focuses on a dedicated topic that can be taught independently. For example, instead of creating a whole course for Adobe Photoshop, you can design an independent module for 2-D graphic design using Photoshop. These courses follow the transactional revenue model where they enroll, learn, and pay for just one course. It’s quite the opposite of what we learned for the standalone model. Instead of offering the course on a single topic, these courses cover every related topic or lessons relevant to a particular module. You can compare them from regular academic diplomas and degrees. For example, while taking a course for computer engineering, you learn everything about computers in different semesters and from different books in every semester. MOOCs are perfect examples of online courses in this category. For example, you can create a whole course consisting of different modules, lessons, and skills to be taught for teaching website designing, software development, Auto-repairing, wildlife photography, or even Digital Marketing, etc. This is the most popular model for online teaching these days. Using live video conferencing, tutors are taking real-time tuition for school and college going students seeking help in academics. Some platforms have taken this beyond live classes and have also introduced on-demand video lectures, beside the live classes. The online tuition platform Varsity Tutors is a perfect example. Where can you teach online? You can choose from two types of online teaching platforms available based on the above-explained course models in the market. E-learning marketplaces: These websites sell online courses from multiple tutors registered on them. In return they charge commission cuts from the tutors in each sale they make for them. You can sign-up and apply for a tutor profile based on your skills. For example, Udemy, Coursera, Khan Academy, and Varsity Tutors. Branded Learning platforms: Instead of letting third-party tutors sell their courses, these platforms prefer hiring the tutors for in-house course development. In return, they offer a monthly salary to the in-house tutors. You have to apply for a tutor’s job on such a platform. The job options can be both full-time and part-time. Many of the e-learning marketplaces use this model in combination with the third-party tutors to get more business opportunities. k12.com, Meritnation, and Byjus are good examples of such branded e-learning platforms. If you don’t want to work full-time under a brand, or sharing a commission cut does not sound cool to you, you can simply start your own eLearning platform. You can build your platform and offer your own website and mobile apps to your learners. Moreover, you can expand your site by letting other tutors to teach on your platform. In short, you can start an Udemy, Varsity, or Coursera of your own and earn bog like those businesses. Instead of just teaching, you can become a tutor and a business entrepreneur at the same time. It’s not tough to build an e-learning platform these days. Below is a very easy way to do that. How to build your own eLearning platform without coding? It was a very tough and time taking task a few years ago. However, technological advancements have made it quite easy for eLearning websites. Buying a ready-made script is one of these easiest ways. You can purchase a ready-made eLearning script and set up your website in no time. Different software vendors have developed their own e-learning website builders with different business models. You can choose one of these, which suits your business plan and build your site on it with a GUI. For example. If you want to create an eLearning marketplace, you can get an Udemy clone script or Coursera clone script. If you want to offer live online tuition, you can choose a Varsity tutors clone script. The best part is most of these scripts are open-source code and can be self-hosted. You can tweak their codes to customize any existing feature, add a new feature, or even remove an unwanted feature. You almost get the same level of solution that you expect from a website developed from scratch. Some of the best clone scripts also come with mobile apps to let you target mobile users as well. In short, customizing a ready-made clone script is easier, convenient, economic, and speedier than developing your website and mobile apps from scratch. You don’t need to re-invent the wheel. You can simply use what’s already there and focus more on business development rather than website development. 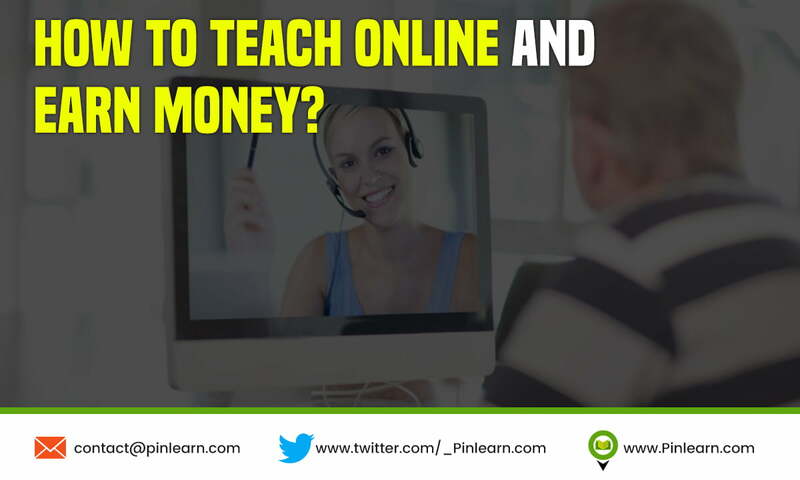 How to earn money by teaching online? We have discussed the same in this entire article. The different course models and types of marketplaces and branded websites, every entry gives their own way to make money teaching online students. Different platforms pay differently for tutoring the students on them. All allow different types of courses and charge different commissions. There are also platforms where you can work full time, and get monthly salaries. Subscription model: Ask learners to buy a membership plan and let them access the courses for the subscribed period. Commission model: Allow other tutors to sell their courses on your site, and charge percentage cut from their revenue. Featured listing: Allow tutors on your site to promote their listed courses in the featured listing section with an additional charge. Pay-per-hour: Offer live video tuition on your site and ask students to pay on an hourly basis. Pay-per-course: Let the learners buy and pay only for a specific course rather than subscribing to a whole membership package. Ads–based: Offer the courses for free to the learners and earn by embedding third-party Ads on your site. You can use the Google ads Network to embed Google ads on your site. Online teaching can be a gainful endeavor with proper planning. You get a variety of chances to either teach on other sites or start your very own site. At last, there is no deficiency of approaches to make cash educating learners online. Regardless of whether you need to turn into a full-time mentor, a part-time guide, or a full-time Ed-tech entrepreneur with your very own eLearning business, there is reliably an approach to procure huge sums with an appropriate methodology. Hopefully, this article could reveal every single useful plausibility to do so. On the off chance regardless you have a doubt or still wondering how to teach online and earn money, drop a comment.